Sorbitol is a type of sugar-alcohol that can be naturally found in some fruits. Because it provides fewer calories and sugars compared to regular sweeteners, it is often used in sugar-free or diabetic foods. If you suffer from IBS, or irritable bowel syndrome, any other gut disorders, or regularly experience abdominal distension, pain, cramping, constipation, diarrhea and flatulence, it is possible that sorbitol, or other short-chain fermentable carbohydrates, also called FODMAPs, may be responsible for your gastrointestinal issues. 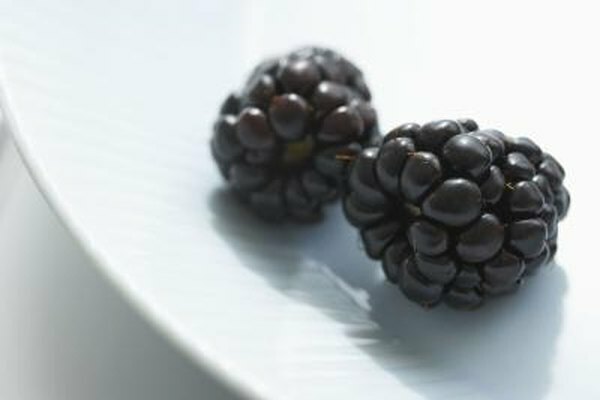 Blackberries and raspberries have a high sorbitol content, as do apples, apricots, pears, nectarines and plums. Lychees, cherries and avocado also contain small amounts of sorbitol. Other fruits like banana, oranges, blueberries, strawberries, grapefruit, kiwifruit and honeydew melon, do not contain significant amounts of carbohydrates or sorbitol. Whenever you see the words sugar-free or diabetic on a food label, it may contain sorbitol. Check the ingredient lists of sugar-free candies, diabetic chocolate, sugar-free chewing gums or minuts, sugar-free ice creams and other similar products. If you see the words sorbitol, isomalt, maltitol or xylitol, you will know that this food contains sorbitol or other similar ingredients that can release sorbitol. If you believe that high-sorbitol foods may be causing your problems, you can ask your doctor to undergo a test called hydrogen breath test to determine whether you have sorbitol intolerance. This test if very simple and consists in eating a dose of sorbitol and having your breath measured during the two to three hours after. If your breath contains higher levels of hydrogen than normal, it is the result of fermentation of the malabsorbed sorbitol in your intestines and indicates a sorbitol intolerance. If you are sensitive to sorbitol, it is likely that you also have an intolerance to other polyols, or sugar-alcohols, like mannitol. Mannitol is found in watermelon, mushrooms, cauliflower, celery and sweet potatoes. Polyols, including sorbiol and mannitols, are not the only short-chain fermentable carbohydrates, or FODMAPs, that may trigger your gastrointestinal symptoms. Fructose, lactose, fructans and galactans can also be part of the problems. Fructose malabsorption and lactose intolerance can be diagnosed with a hydrogen breath test, but an elimination diet is the only way to determine if you are intolerant toward fructans and galactans. Consult a registered dietitian for help figuring out the best diet for you.